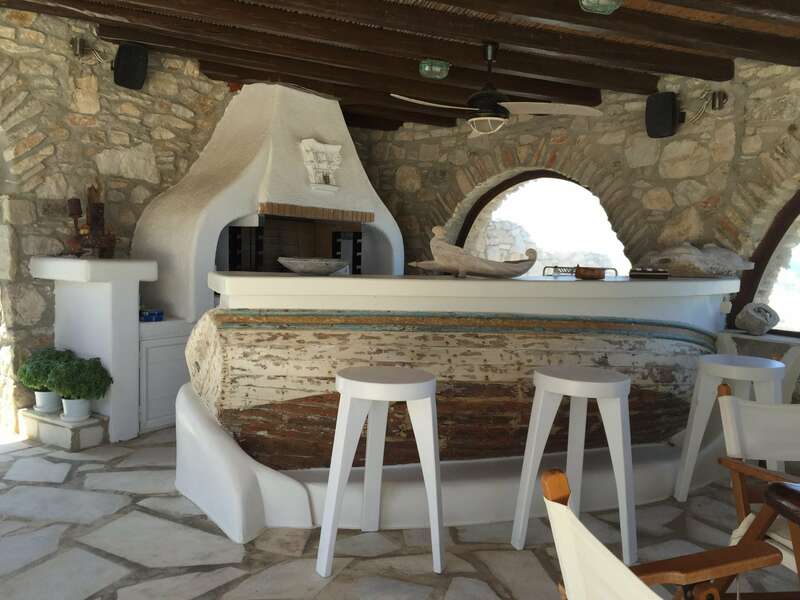 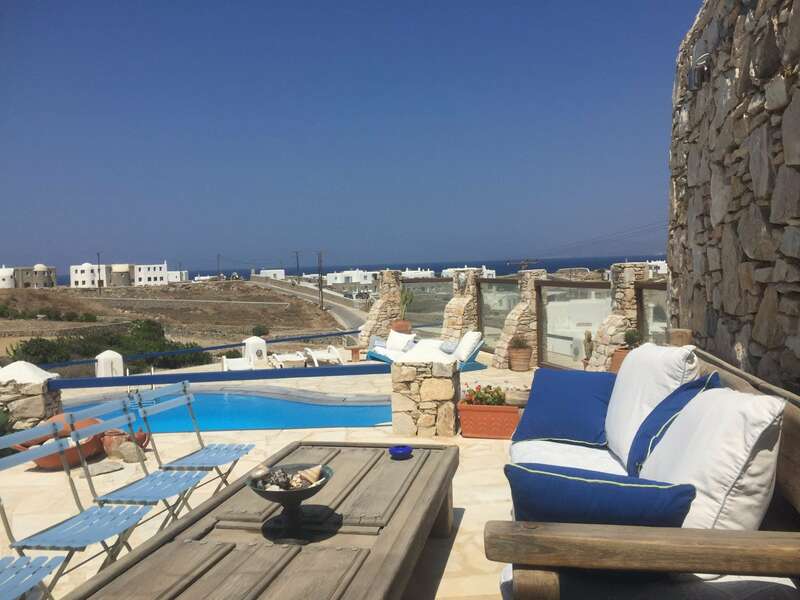 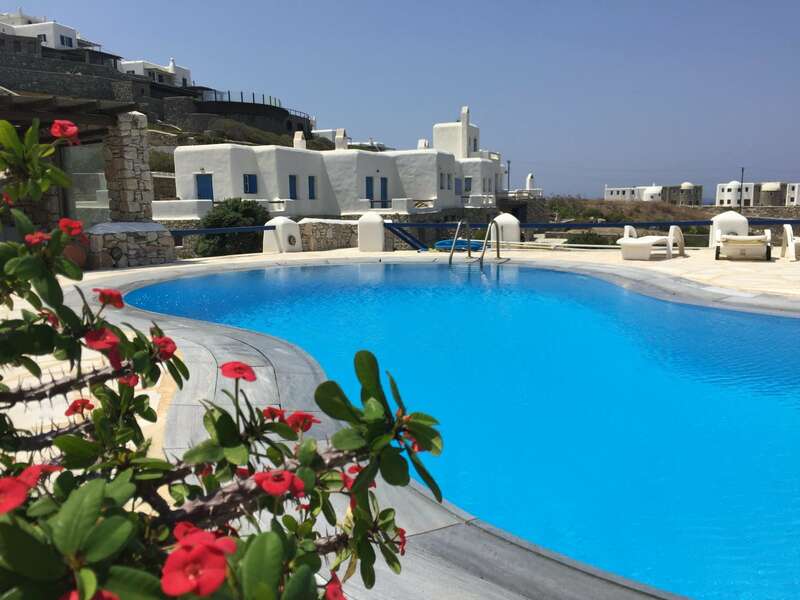 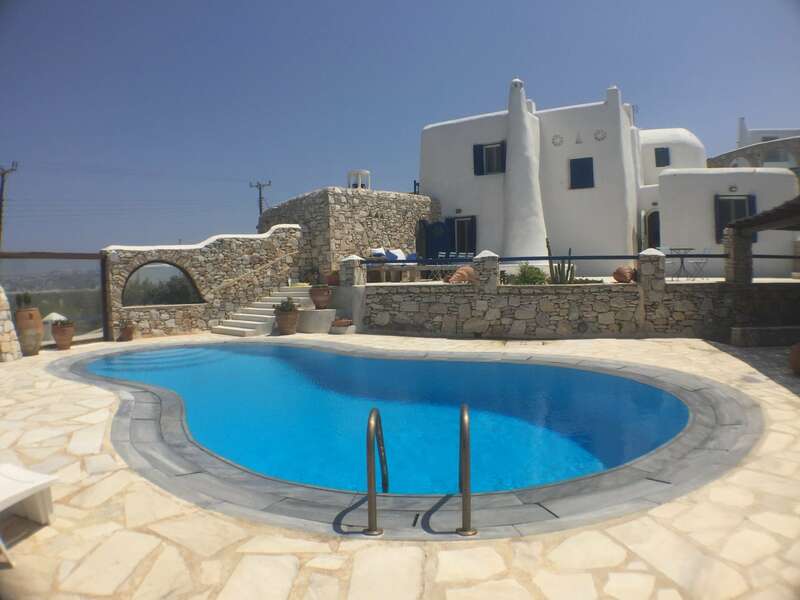 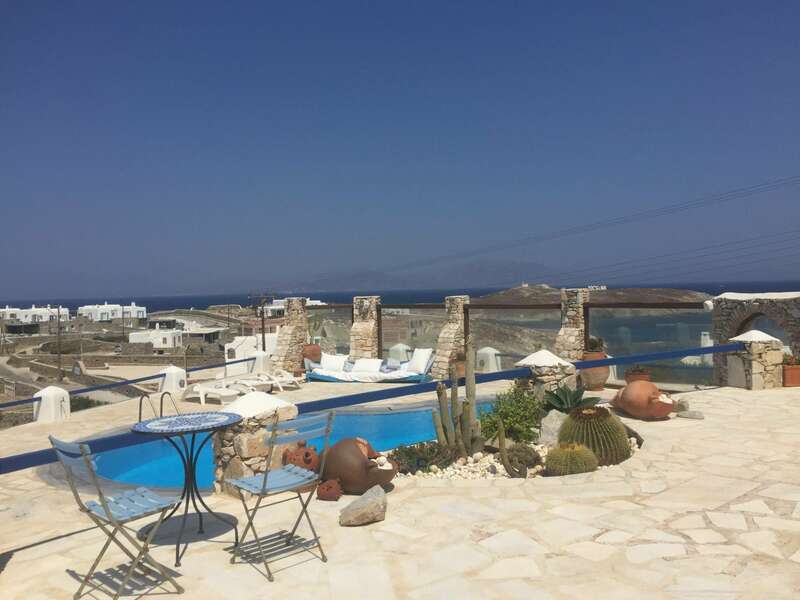 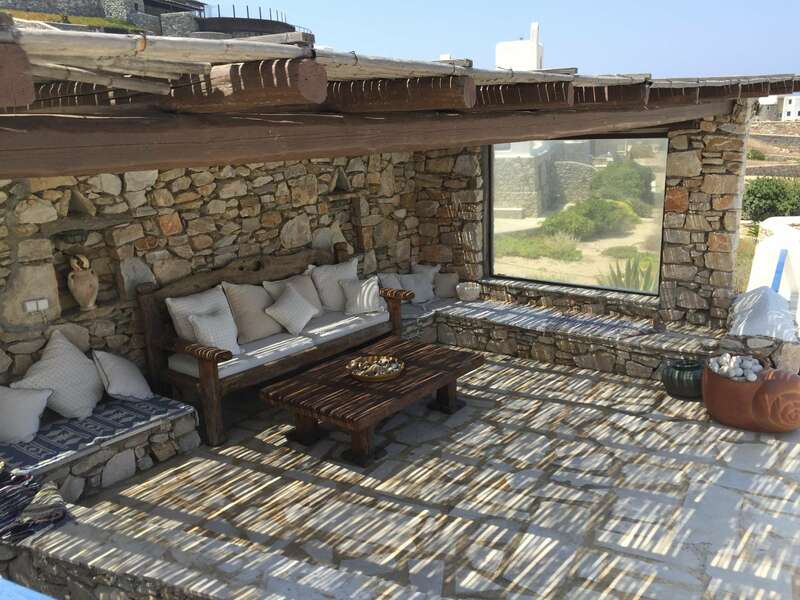 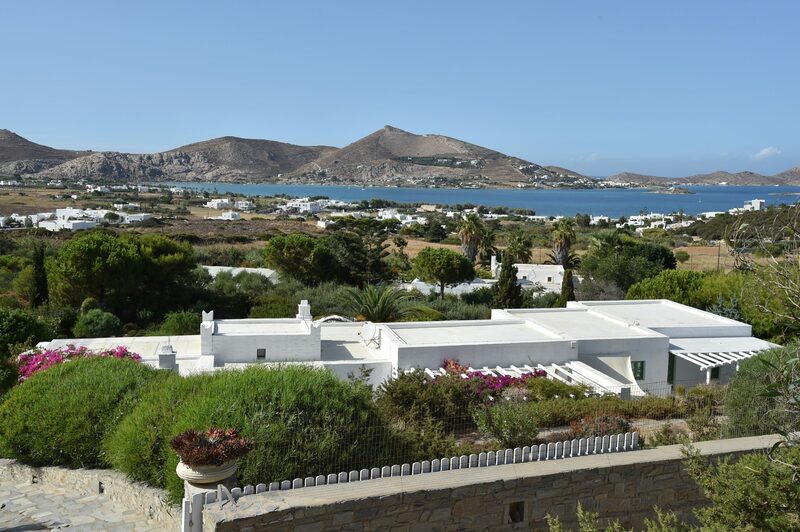 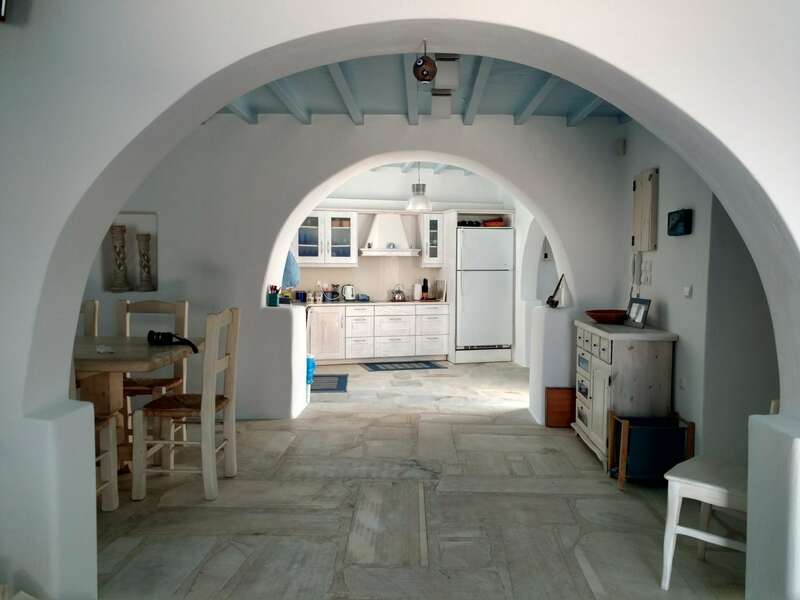 A lovely house in the area of Canalia, in Mykonos island, with a swimming pool and panoramic views of Mykonos town, the island of Syros and Delos and the sunset. 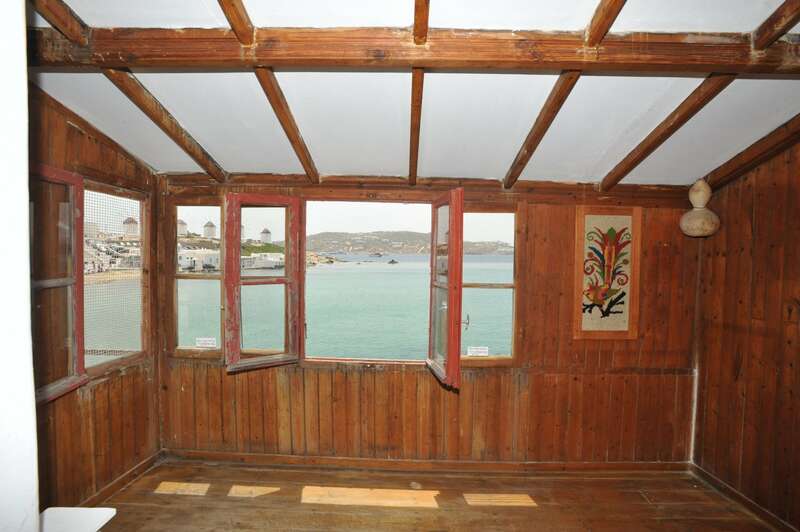 The property offers 394 sq.m. 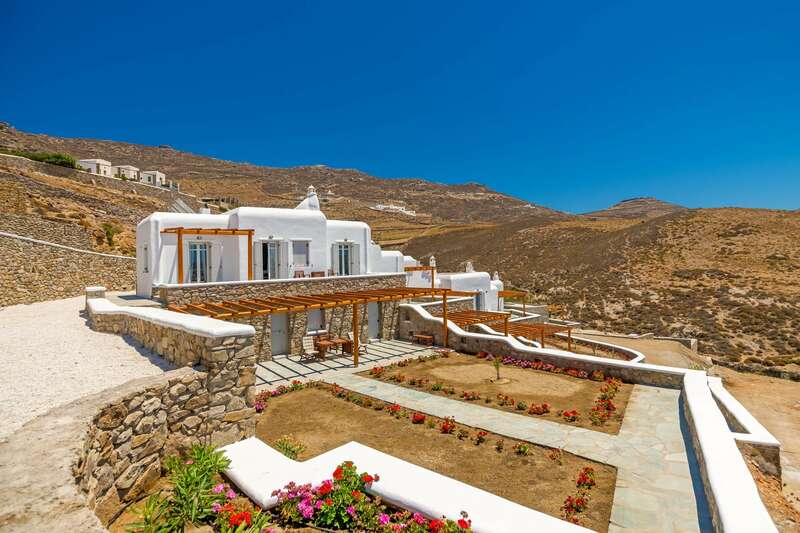 and consists of the main house and two independent guesthouses. 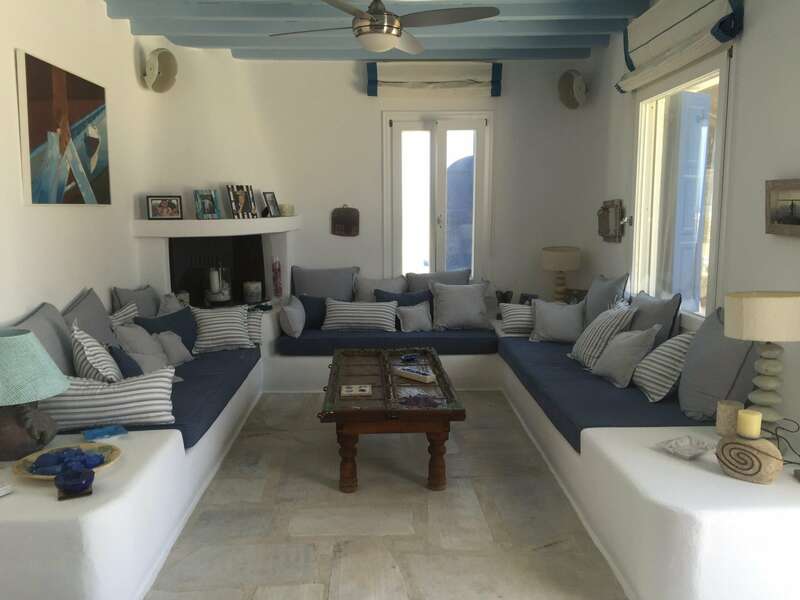 The main house is built on two levels. 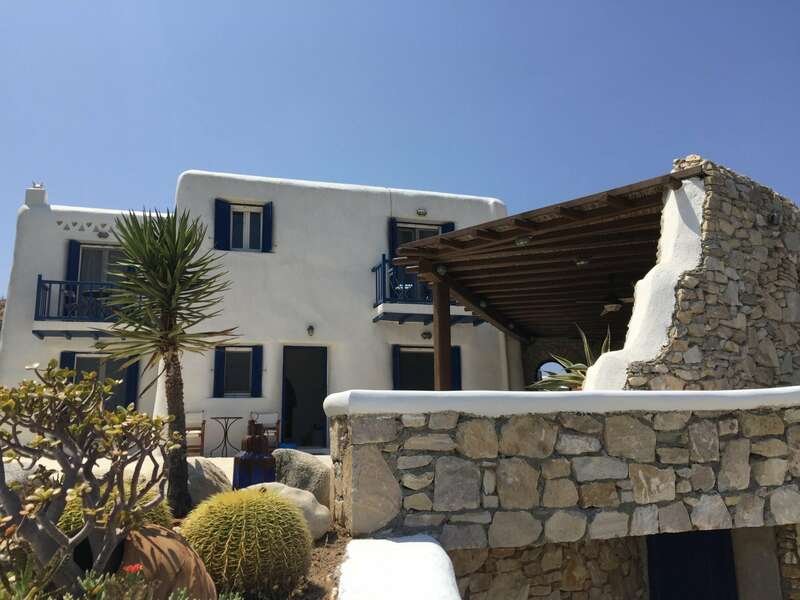 On the ground floor there is a living room, a large kitchen and a dining area and on the upper floor there are 2 bedrooms with bathrooms. 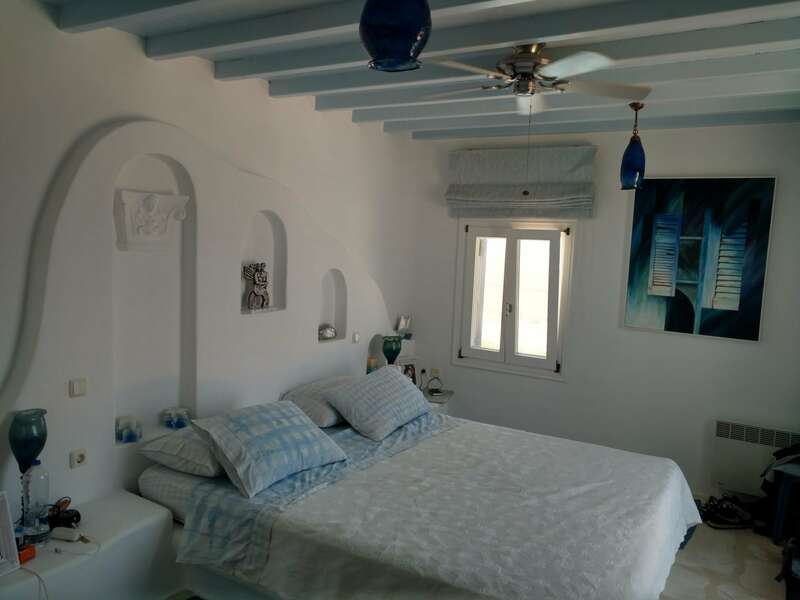 The first guesthouse offers two bedrooms, one of which is a master, a living room with a kitchenette and a second bathroom. 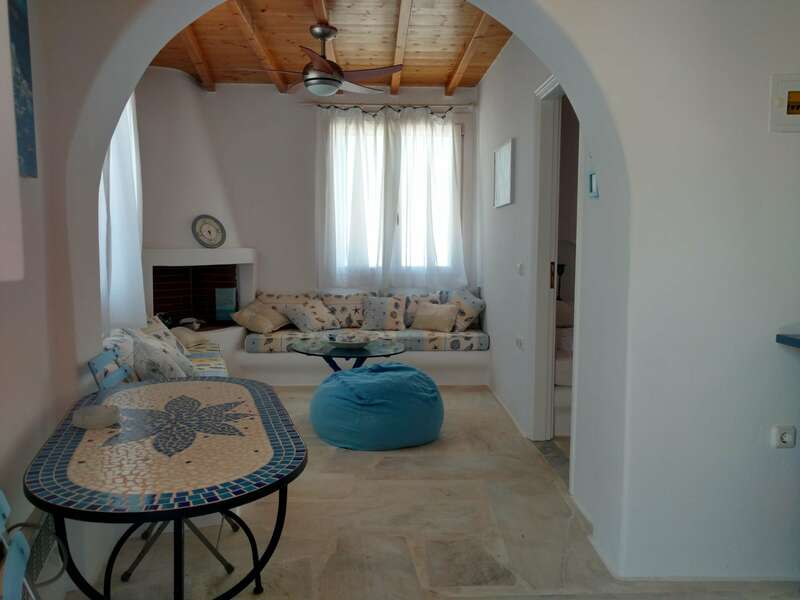 The second guesthouse includes two bedrooms with bathrooms and a living room with a kitchenette. 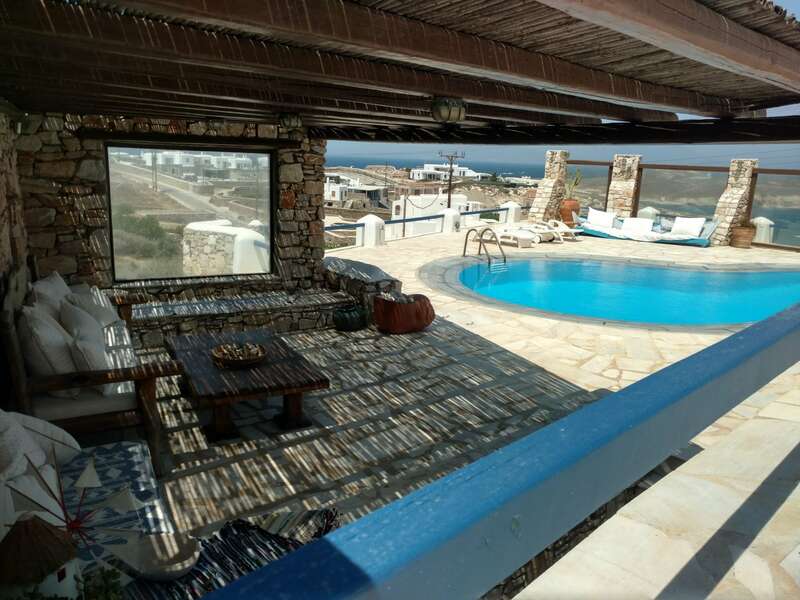 In the exterior space there is a swimming pool and a BBQ area offering a beautiful view of the sea.